Auto Repair Coupons for Bellevue WA! We are happy to offer some special offers and Auto Repair Coupons Bellevue WA drivers can use to try our auto services at a discount. Whether you are a long-time customer of ours or you're coming to us for the first time, feel free to click and print any of the offers below! 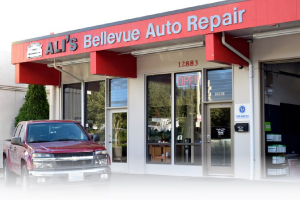 Be sure to check back for new coupons and offers, or better yet, follow us on Facebook to get announcements on the latest specials and news from Ali's Bellevue Auto Repair! Check Back for NEW OFFERS coming SOON!